To be honest, this hasn't been the best week to look back fondly on my time in Korea. In fact, it's been super stressful, to the point where there's been lots tears and grumpy moods. There's been arguments, air line stress and open classes that went so badly that I thought they were only possible to imagine in my nervous wittling brain. All of this whilst trying to pack and clean my apartment. BUT the open classes are over now, I went for dinner with my lovely co-teachers last night and it was nice to see them all happy and chatting. It's good to know that even though I will be gone a few months early, that Tasha will have some lovely people surrounding her at school. I also said goodbye to the principle yesterday morning, as he will be out on business on my last few days. Another stress off my mind. What do you think to my Korean alphabet in the note that I wrote him? The teachers laugh and say it looks like a baby's writing! Boo! 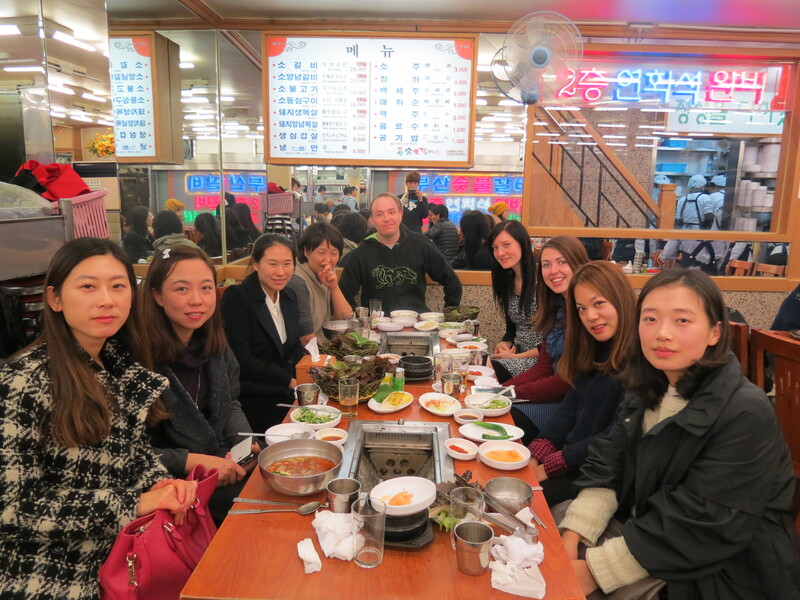 So it really does feel like my time as a teacher in Korea is coming to a close. It became even more of a reality yesterday when one of my 5th grade students came and gave me a little gift of nail polishes and a really cute letter. Plus, to cheer me up even more, I found the 'love package' that Nick gave me a week or so ago. His incredibly crafted and talented co-teacher, Kelsey, obviously made the envelope. 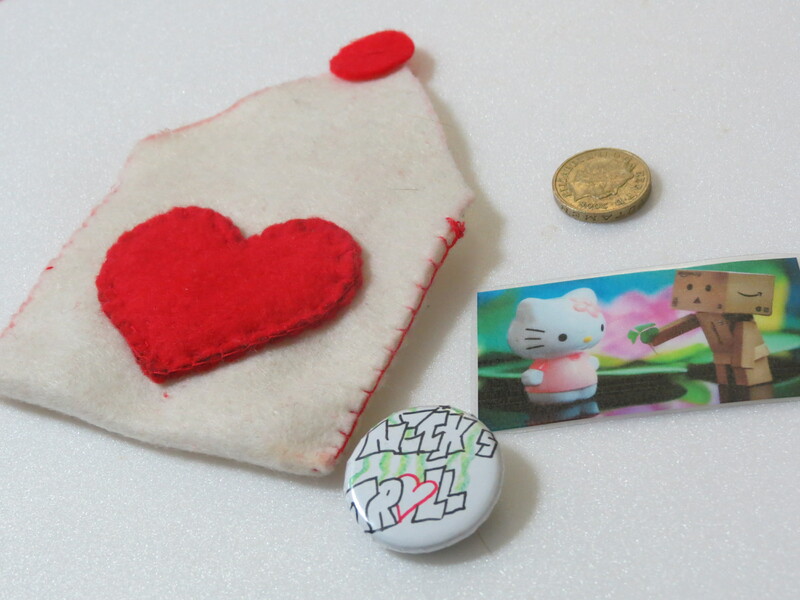 But inside I was lucky enough to receive a whole English pound (I'm definitely going to the sweet shop with that), plus a badge that he made me (can you spot a running troll theme in his gifts?) and a little Hello Kitty picture. Not to mention the fact that he has put up with a lot of phone calls and moany messages from me about the awful start to the week.